Richmond, Kia. 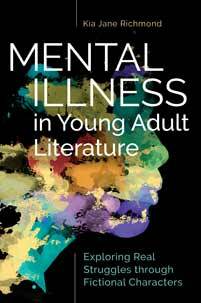 Mental Illness in Young Adult Literature: Exploring Real Struggles through Fictional Characters. Libraries Unlimited, 2018. ABC-CLIO, publisher.abc-clio.com/9781440857393.